At the start of a press briefing Thursday, [Oregon Congressman Greg] Walden paused to note one reporter munching on a five-pound giant Hershey bar, a souvenir from the famous chocolate manufacturing town [in Pennsylvania where the retreat was held]. 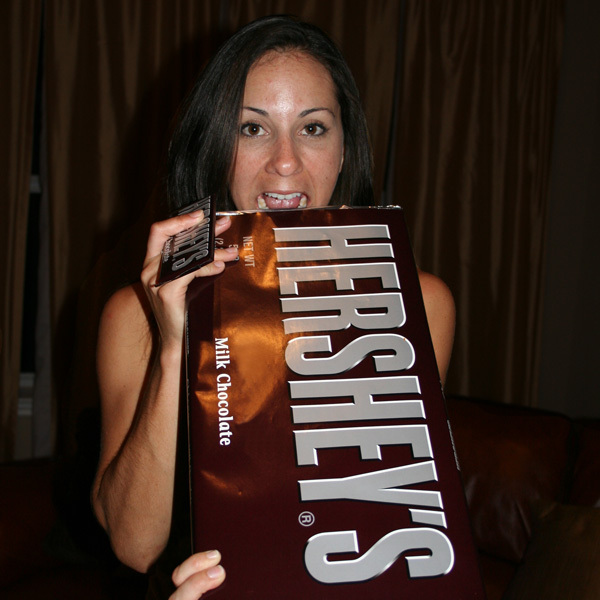 Here’s an idea: I’m going to buy a 5-pound Hershey’s chocolate bar. When Congress and the President finally agree on an immigration reform bill, I’ll open the candy and break off pieces for folks who come in to meet with me. Sweet victories all around! This should last at least several weeks! However, if the House and the Senate don’t get things on track, we’re all going to be eating stale chocolate. If you have an immigration issue that does not require Congressional action (like you just married someone who is on a student visa, or you are a lawful permanent resident who wants to take the next steps to become a U.S. citizen), I invite you to contact me to talk about it. And we won’t have to wait until 2016 for a sugar fix: I keep my trove of snack-sized Twix and Almond Joy well-stocked. Image was cropped and edited from the original.